I have colored it using copics. 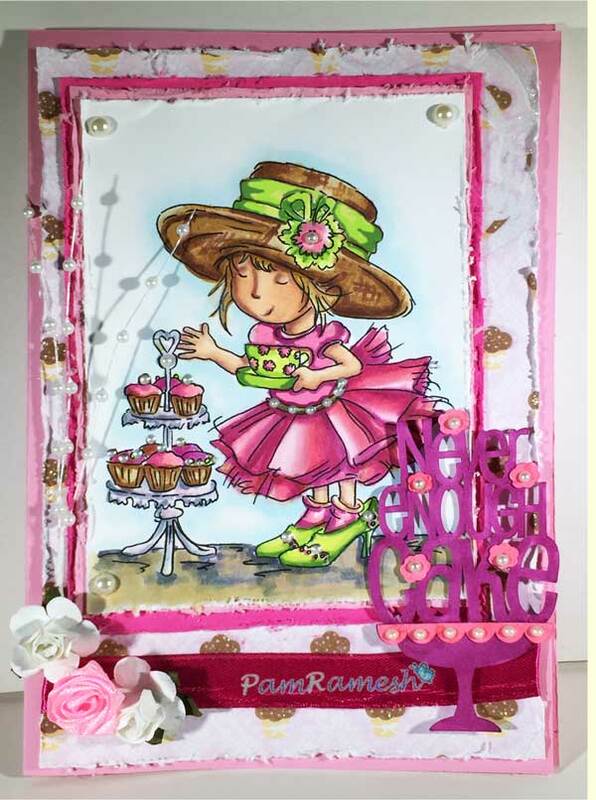 The die cut - "never enough cake" is a cricut die cut from once upon a princess cartridge. I have cut that using cricut explore through cricut design space. Sized it about 3" or so. It has been such a long time since I last used the explore. Have to use it more.